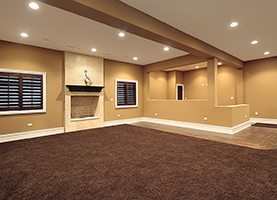 Carpeting or flooring your home or furnishing your new space does not necessarily have to break the bank. At Elaine’s Carpet Barn, a family-owned and operated business, we can save you money! We believe in providing you with top quality, durable, and scratch- and fade-resistant flooring options that will please today and last for years to come. We specialize in carpet installation in Somerset, KY, but we will travel to install your carpet outside of this area. Elaine’s Carpet Barn understands that home improvement projects often span the course of several months. 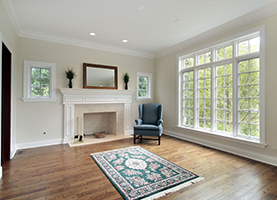 Why add onto that wait time by ordering a floor from another flooring business? 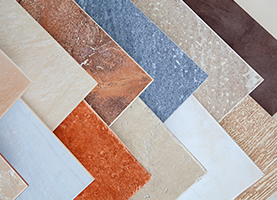 We keep a vast selection of carpet, vinyl flooring, and laminate flooring options in stock for you to choose from so that you don’t have to wait to improve your home or space. Don’t risk anything when selecting your next carpet or flooring for your home or work space. Elaine’s Carpet Barn keeps more than 200 different samples of flooring on hand for you to take home and try out in the space you desire to remodel or furnish, which will help you envision your new space. With our free estimates and consultation services, reflooring your space will not exceed your budget against your expectations. Our diverse selection of vinyl flooring options, from luxury vinyl tiles to fiber floor vinyl materials, allows you the freedom to decorate your spaces without being deterred by your budget limitations. Not only is vinyl durable, but it is also cost effective, which allows you endless possibilities in refurnishing the space of your choosing. Come on down to Elaine’s Carpet Barn today to find your new carpet, vinyl, or laminate flooring. We offer a 3% discount for cash sales/ free estimates.